Call our office at 770-442-1050. A doctor will be paged and return your call. 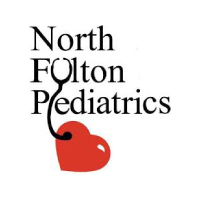 If your baby is less than 2 months of age and has a fever over 100.3, please call the office for the on call doctor. Older than 2 months, remember that fever is a symptom of a problem. If the temperature is low grade (<102), and your child does not seem ill, you may administer Tylenol and plan to be seen in the office the next day. If you have concerns, please call to speak with the physician on call. What dose of Acetaminophen (Tylenol) or Ibuprofen (Motrin or Advil) do I use? When should I go directly to the Emergency Room? Any life threatening condition, including significant trauma, difficulty breathing, significant change in mental status, or severe pain qualifies for an ER visit. When should I consider going to an Urgent Care facility? Urgent Care facilities are NOT emergency rooms. They function as a doctor’s office when the office is closed. Many conditions can wait until the office is opened the following day. If you have concerns, please call to speak with the physician on call. A medical Home is a facility where your pediatric provider knows your medical history, and is familiar with you and your family. A Medical Home is essential for the continuity of care for your child. Emergency Rooms and Urgent Care facilities are not considered Medical Homes. I am not sure whether I need to call the office after hours. Is my child sick enough to page the doctor on call? Ultimately, you are the best advocate for your child. If you feel you will be unable to rest due to your ongoing concerns, then by all means call to discuss your concerns with our doctor on call.